Debates frequently focus on the role of training as an indicator of quality, but far less attention is given to understanding how to work effectively with young children, and how the knowledge to do this is built. 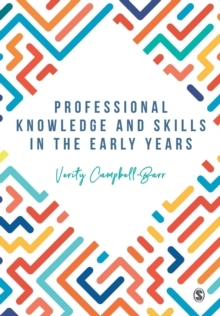 This book examines the development and sources of this 'know-how' - from the knowledge the early years workforce already have to the knowledge they will develop in their practical and theoretical training. This also includes the knowledge that cannot be described but is nonetheless important in guiding the daily work of the early years sector. Both theoretical and practical knowledge are brought together while encouraging critical consideration of alternative forms of knowledge such as attitudes and beliefs. Providing international examples and theoretical discussions on the challenges and rewards of working in the early years, this book seeks to identify, recognise and celebrate how those who work in early years education deliver best practice when working with young children.